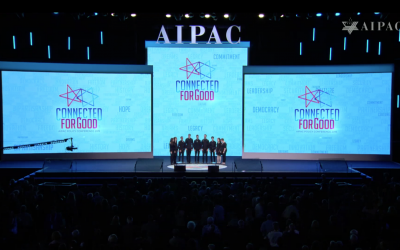 WASHINGTON — AIPAC CEO Howard Kohr opened the pro-Israel lobby’s annual conference Sunday with a stinging rebuttal against a growing tide of criticism of the group’s work, after a freshman lawmaker accused the lobby of paying for support of the Jewish state on Congress. A tweet by freshman Congresswoman Ilhan Omar earlier this month accusing AIPAC of paying lawmakers to back Israel drew charges of anti-Semitism, but also stoked a vociferous debate regarding the lobby’s activities in Washington. 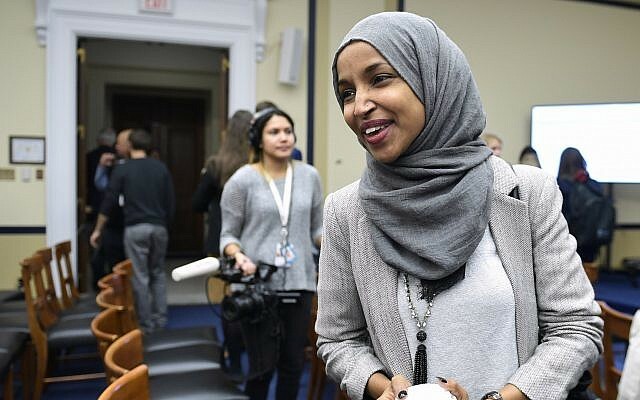 Omar apologized, but sparked fresh criticism when she said that Israel activists were pressuring lawmakers to have an “allegiance” to Israel, which critics said amounted to the longstanding charge that Jewish Americans had “dual loyalty” to the United States and Israel. Speaking Sunday at the Walter E. Washington Convention Center for the America Israel Public Affairs Committee’s annual confab, Kohr did not address Trump’s comments, which Democrats have denounced, in his speech. 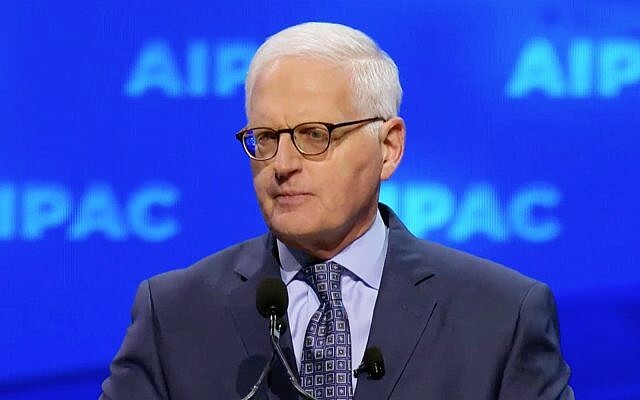 But he did take on Omar’s defenders who have said that her critiques had some validity — namely, that AIPAC plays a pernicious role in the democratic process by punishing members of Congress who criticize Israel or are more supporting of the Palestinian cause. In recent years, there has been a vigorous fight on American campuses regarding the Israeli-Palestinian conflict, with far-left activists insisting that supporting the Palestinians is something of a prerequisite for having progressive credibility. What started off as a marginal crusade, Kohr suggested, has seeped into the broader discourse, including now on Capitol Hill, and has led to even stronger attacks. “We have always had critics and detractors, and some have been particularly harsh,” he said. “But today, they are emboldened and energized, and their false claims are taken at face value by new and larger audiences. Those claims are not meant to inform or engage in legitimate debate. They are meant to isolate us and demonize us so they can undermine America’s historic support for Israel,” he warned. 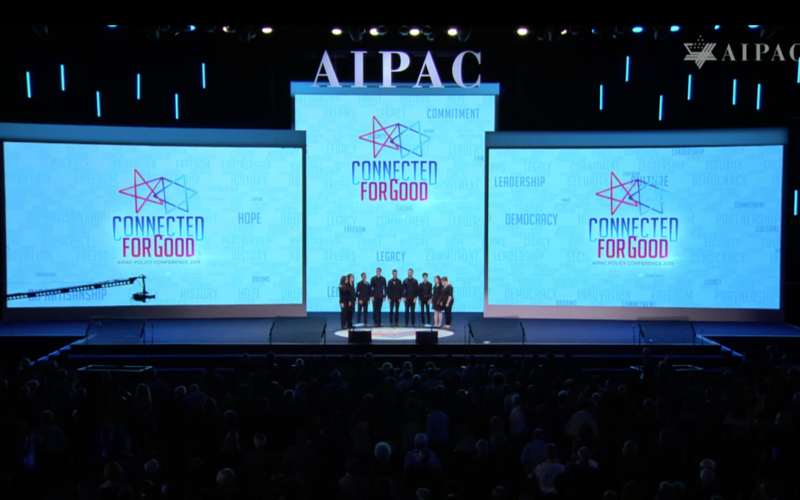 The AIPAC head lamented the criticisms against AIPAC and pro-Israel activists, particularly that they are beholden to Israel’s interests, not America’s, and that supporting Israel is mutually exclusive with backing other liberal or justice-oriented causes.